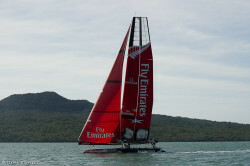 Auckland – Dopo alcune settimane passate in cantiere, l’AC 45 di Emirates Team New Zealand è tornato a navigare mostrando una nuova, elegantissima, livrea che, partendo dall’ala rigida, caratterizza entrambi gli scafi, “avvolti” dalla bandiera neozelandese. 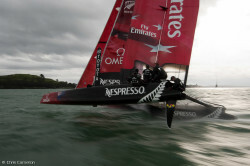 A bordo, nel corso di una sessione di allenamento che ha visto la barca navigare all’ombra di Rangitoto, il solito team guidato da Dean Barker e Ray Davies. 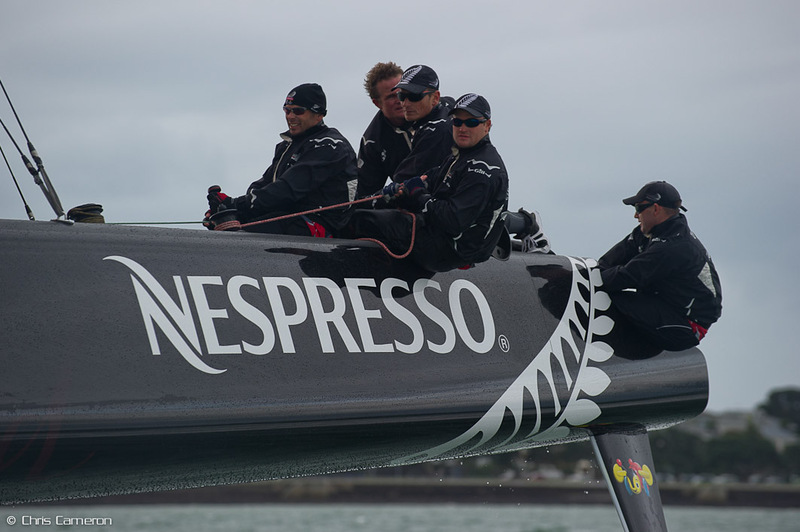 Il team, si apprende nel comunicato stampa del team kiwi, sta lavorando alla realizzazione del primo dei due AC72 che verrà varato nel luglio del 2012 in vista della 34ma America’s Cup. 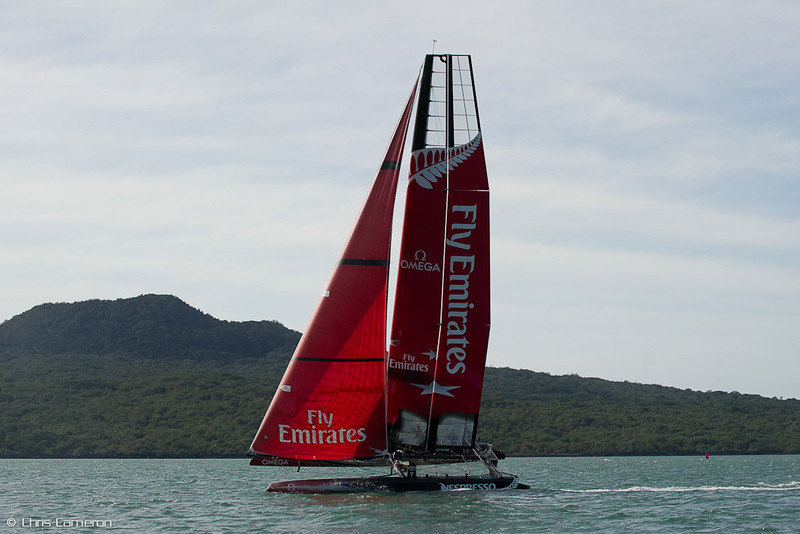 [Emirates Team New Zealand Press Release] The new livery for Emirates Team New Zealand’s AC45 catamaran went on display for the first time today when the yacht was re-launched at Auckland. 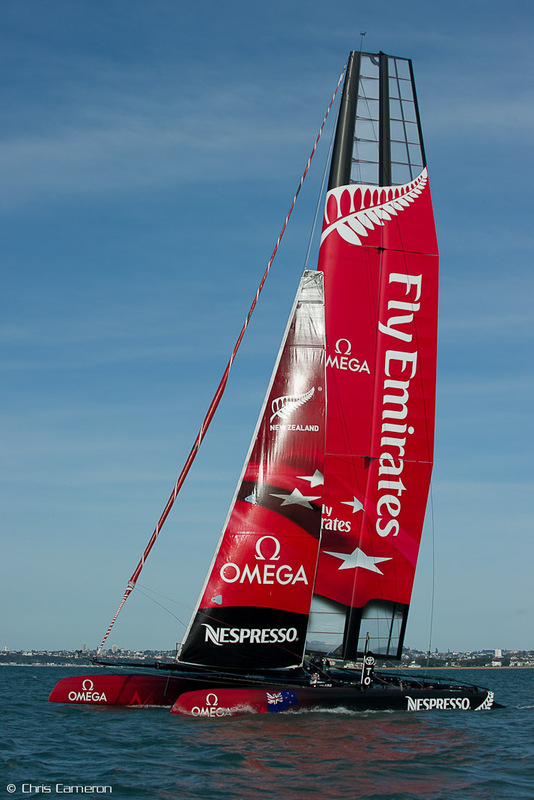 With a bright red wing sail and the traditional black hull, the yacht has the New Zealand flag on each of the bows. 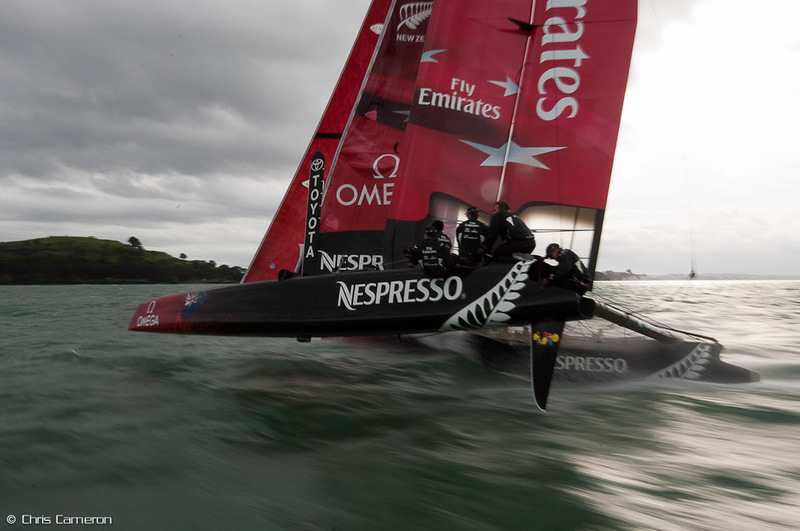 The AC45 will be used in America’s Cup World Series events – three regattas are scheduled for this year, and seven in 2012. 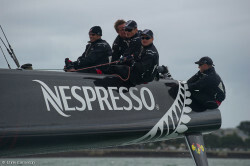 The race format and scoring for the 2011 AC World Series have been announced. The format will include a combination of fleet and match racing. Winners for fleet and match racing as well as an overall winner will be determined on the final day of each regatta. The AC World Series starts August 6, 2011 in Cassias, Portugal. Teams are now working on design for the AC 72, the catamarans that will be raced in the Louis Vuitton Cup and America’s Cup regattas at San Francisco. Each team can build two AC 72s, the first due to be launched next year.